MB Betons Group as launched manufacturing of a new product — reinforced concrete facade with printed graphic elements — at Daugavpils Reinforced Concrete Factory. 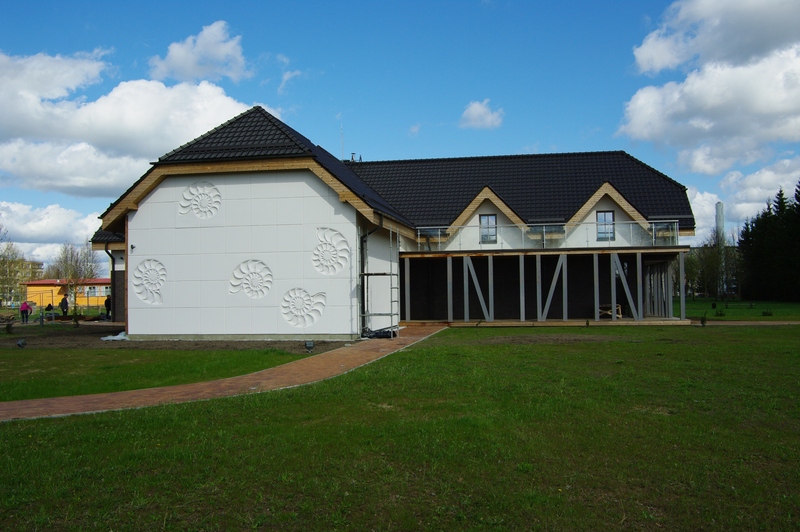 In manufacturing these reinforced concrete facades, special concrete moulds are used, which is the first project of such type in Latvia. To ensure compliance with high quality standards, this project was surveyed by Concrete Research Centre which has long-term cooperation with the local laboratories of reinforced concrete factories. A special method of manufacturing was designed in order to include graphic elements in the facades. Moulds are produced by creating special concrete negatives first which are then covered with concrete. During the manufacturing process, the concrete negatives are used to imprint various graphic elements, including the tiniest details, on the facade relief. Maximum dimensions of such reinforced concrete moulds are 4.5 × 12 m.
The first project of this type implemented by MB Group is located in Ventoje, Lithuania. According to the client’s individual order, the private house features reinforced concrete facades with printed shells.